Tampa Bay, Florida: Where Do You Want to Be? Nowhere in the United States will you find the astounding beauty of Tampa Bay, Florida. Oh, sure, our environment is rich in history, surrounded by fabulous waters, and fraught with fascinating wildlife – but those aren’t the only reasons to live in Tampa Bay. Not by a long shot. Where is Tampa Bay and What’s Considered the ‘Tampa Bay Area’? Tampa Bay is a huge natural harbor and estuary along the Gulf of Mexico. An estuary is a partially enclosed body of water. The water of an estuary is a mixture of fresh water from surrounding rivers and streams and water from the ocean. Tampa Bay is located on the west central coast of Florida. It includes Old Tampa Bay, Hillsborough Bay, McKay Bay, and New Tampa Bay. The entire ‘Tampa Bay Area’ encompasses three counties: Hillsborough, Pasco and Pinellas. More than 2 million residents live in the Tampa Bay Area. More than half of Florida’s Fortune 500 companies are located here. Now that’s got to tell you something! So, again, we’ll ask you: Where do you want to be? Just tell us and we’ll be there with the finest real estate services you have ever experienced. Hillsborough County is the major metropolitan complex of Florida’s Gulf Coast. This is an important shipping center due to the deep waters of Tampa Bay. There are many, many communities in Hillsborough County, but only three incorporated cities including Plant City, Tampa, and Temple Terrace. New Tampa is changing the way Floridians live with fantastic planned communities and futuristic planners. Want to be close to the water and away from the crowds? Pasco County is a different kind of Florida. Vacation at home in Pasco County. This southern anchor to the Nature Coast is peaceful and filled with adventure for adventurists! Walk through the swamp at J.B. Starkey’s Flatwoods Adventures or visit the Pioneer Florida Museum & Village where history comes to life inside several historical buildings. Take a romantic stroll down the streets of Downtown Dade City and search for antiques. With ecotourism, historic museums, antique shopping, festivals and outdoor adventures, you’ll be right at home in Pasco County. We’re also delighted to meet your Tampa Bay Area real estate needs in Pasco County’s Port Richey, New Port Richey, and Trinity. In Pinellas County we serve the Oldsmar, Clearwater, Safety Harbor, Palm Harbor, Tarpon Springs and St. Petersburg areas. Whether you prefer a swimming suit or a business suit, The Tampa Bay Florida area is well-suited for you. Whether you love living in a beach-front bungalow, a rambler in a quiet neighborhood, a historic mansion or a high rise, Tampa Bay Area, Florida can accommodate your dreams. The Gulf winds blow many visitors here who soon find themselves anchored in the Florida lifestyle. Feel free to research our communities for yourself and don’t hesitate to ask for our help in providing literature and community resources. As always, RE/MAX Premier Group associates are here to help you with a powerful network of more than 100,000 associates in 70 countries. While moving can be a wonderful adventure, relocating can create uncertainty for any family member. 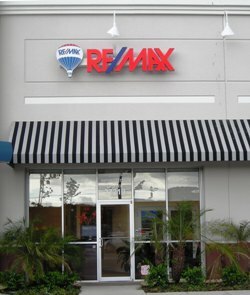 If you’re relocating to Tampa Bay or are thinking of purchasing Tampa Bay Real Estate, RE/MAX Premier Group is here to help. We want to make your move to the Tampa Bay area enjoyable by helping you feel confident and satisfied. Whether you need details about specific communities, the economy, the Tampa Bay real estate market, employment, business opportunities, education, health care services, or anything else related to relocating to Tampa Bay, we’re just a phone call away. Helping you find the right neighborhood based on what’s most important to you in your quest to relocate to Tampa Bay. Helping you find the right home – a home you dream about while planning your Tampa Bay relocation, a home surrounded by the services and environment you need as well as the community features you love. Referring you to professionals in the relocation business. When relocating to Tampa Bay or the surrounding area, you have access to a wide network of relocation experts through RE/MAX Premier Group’s professional association and affiliations. Some of our associations are with lenders, inspectors, builders, property managers, moving companies and more. Providing you with literature that will help you understand how to make relocating to Tampa Bay easier for your entire family. We know children are sometimes just as stressed as adults when relocating. Our insight can help you prepare your family for relocating to Tampa Bay. Ask us about the award-winning RE/MAX Satellite Network production of “Kids’ Survival Guide to Moving.” This production helps your children feel at ease when relocating to Tampa Bay by teaching kids what to expect when their parents buy a house in a new area. Congratulations on your decision on relocating to Tampa Bay in beautiful Florida. RE/MAX Premier Group associates are excited about sharing our community with you. Feel free to search our Community Profiles to learn about different communities in the Tampa Bay area. Pick your pleasure from these Clearwater/St. Petersburg beaches. Fair warning, once you visit, you’ll never want to leave! Note: Much of the information in this section is gleaned from the a href=”http://www.floridasbeach.com/” target=”_blank”>St. Petersburg/Clearwater website. RE/MAX Premier Group strongly encourages you to visit the site to learn even more about visiting these fabulous beaches.